We were recently called out for an ant problem inside a school office building. 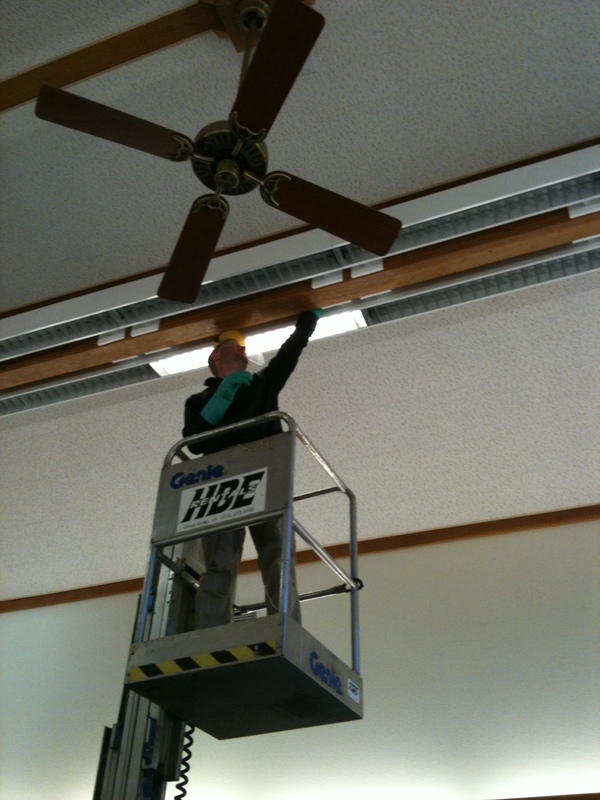 The ants were nesting inside the ceiling and throwing out small pieces of insulation at the edge of the ceiling support beam. Often times, people see shavings like this and think it’s a sign of termite activity. But in this case, the ants were hallowing out a cavity for a winter nesting area. 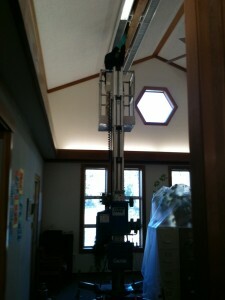 As you can see, removal of the nest presented a bit of a challenge, and we had to rent a Genie lift to access the area.